When it comes to choosing a resilient flooring product how do you know which is the right product to choose for your particular requirement? More importantly how can you make sure that you are comparing different manufacturers' products to one another correctly? Selecting a floorcovering that will satisfy the actual or expected service requirements is essential if a product is to perform up to expectations. With so much product information now available, it is hardly surprising that selection can sometimes be difficult. Comparing different manufacturers products in a fair and equal 'apple to apple' way based on the technical specifications, which are backed by globally recognized legislation, is a must. Polyflor Pearlazzo, for example, isn't Polyflor's flagship homogenous product based on just its looks alone and it isn't simply the non-directional appearance that makes it more expensive than Standard XL. Polyflor vinyl floorcoverings are manufactured in a range of thicknesses, with differing levels of filler and constructions and are specifically designed to suit a variety of applications. In addition, some vinyl floorings have specialist features such as acoustical, static control or slip-resistant properties. These are the variables from just one manufacturer! So in order to help the end user and/or the building designer make an informed choice, Polyflor products show the Use Area Classifications and the Agrément ratings. The Use Area Classifications can only be claimed if the products meet the requirements of the performance criteria that have been laid down. The Agrément rating is awarded by one of the national Agrément assessment bodies and only after an independent assessment of the product, both in laboratory conditions and on-site use. Proved by science and backed by legislation, methods to test the abrasion strength of resilient flooring products in order to determine the products correct use area by understanding and rating the products abrasion resistance and therefore its durability have existed for decades and must be used when selecting products. Backed by law the Use Area Classification system has proved an invaluable method for determining the correct product to specify for the intended use area. The system also allows accurate benchmarking and comparisons between different product types and just as importantly helping to compare different manufacturers products in a true 'apple to apple' way. The most recent European legislation has recently been harmonized with the ISO (International Standards Organisation) producing EN ISO 10581 and EN ISO 10582 for both Homogenous and Heterogeneous products and products with a wear layer. The Use Area Classification System ISO 10874:2009 establishes a classification system for resilient, textile and laminate floor coverings. The classification is based on practical requirements for areas of use and intensity of use and is linked to the requirements specified in the relevant International Standard for each type of floor covering. 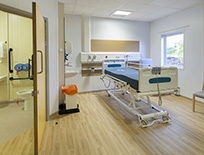 ISO 10874:2009 is also intended to provide guidance for manufacturers, specifiers and consumers, to enable them to choose the appropriate class of floor covering for any given area of use or specific room. An understanding of the system is essential when making decisions on suitability of products as well as comparing manufacturers products to one another in an equal, fair and 'apple to apple' way. Product performance, longevity, suitability and product cost are all decision making factors that are helped answered by this code.